A spectacular location for the ultimate relaxing break. 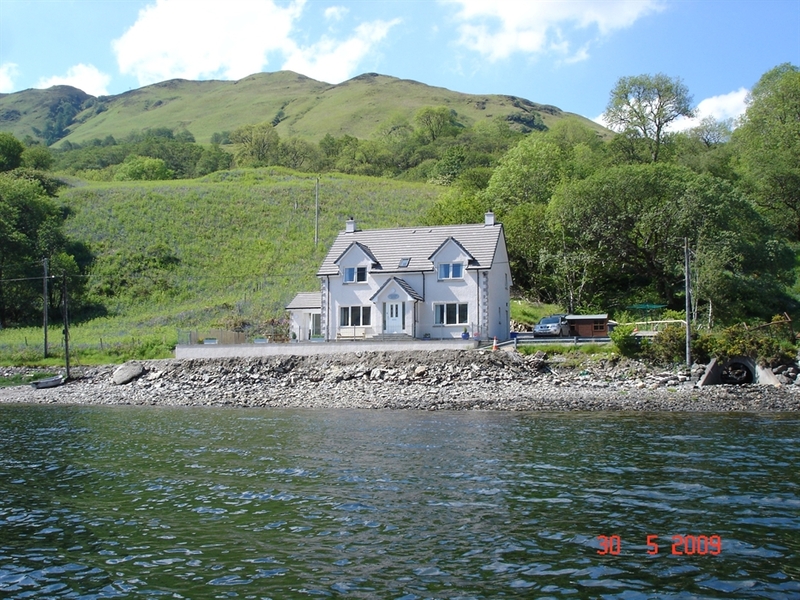 These two exceptional properties with their tastefully and very comfortably furnished interiors, nestle serenely on the shores of Loch Duich. They offer easy access to sailing and fishing and are an ideal holiday base. Excellent walking, cycling and climbing country (the south ridge of Glen Shiel has no less than five munros - hills over 3,000ft), affording magnificent views of Loch Duich, the Five Sisters of Kintail and famous Eilean Donan Castle which is surrounded by majestic scenery and is one of the most visited and important attractions in the Scottish Highlands. There are several National Trust properties in the region, including Plockton, a delightful village much loved by artists and which lies within an easy drive as does Glenelg, home to a country inn providing good food and the seasonal ferry to the Isle of Skye. Here visitors can discover the Isle's stunning landscape of rugged mountains, tumbling rivers, colourful moorland, rich sea-lochs and spectacular coastline that is home to bountiful wildlife as well as fine museums and heritage and craft centres. A shop, post office and pub serving food can be found in Shiel Bridge, 5 miles. Visit Kyle of Lochalsh where you can take a dip in the swimming-pool or why not make a day of it and take a relaxing train journey to Inverness where you travel through some of the best scenery that Scotland has to offer. Modern luxury accommodation sleeping up to 8 persons ( 2 double rooms, 2 twins). Bathroom with jacuzzi bath, large shower cubicle and underfloor heating. 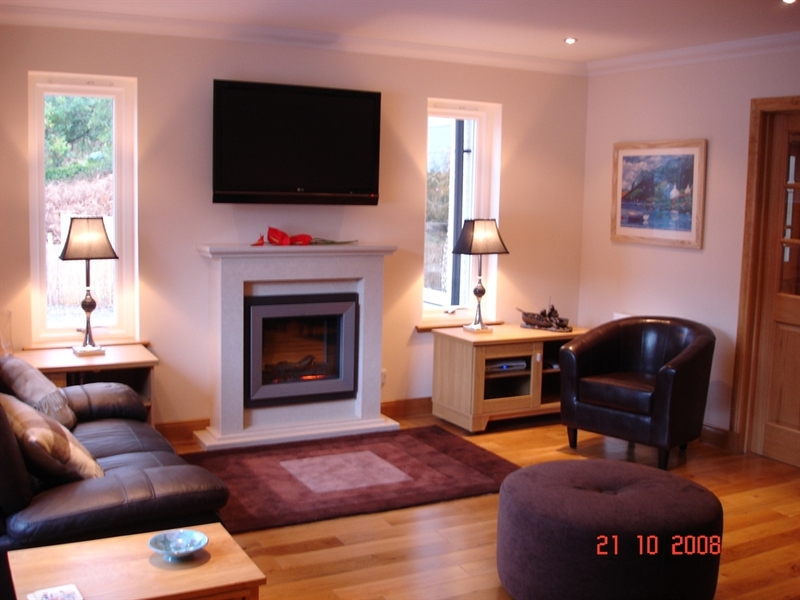 Sun room with spectacular views and doors leading to garden terrace overlooking Loch Duich. Master bedroom with en-suite facilities. There is a third shower room on the ground floor. Satellite TV and all bedrooms with TV (Freesat). 2 bicycles available for use. Shed available if you wish to bring your own. There is also a mooring available should you wish to arrive by boat! A traditional croft house which has been stylishly modernised, Achnateird sleeps up to 4 persons (1 double room and 1 twin). This has an open-plan sitting/dining/kitchen area. This property has a large garden to the rear, fenced to Loch Duich. Satellite TV. Please note that the en-suite shower and disabled access apply to Lochside only. Both properties have a boat available foc (seasonal). A cot is also available on request. Please quote cottage reference number when enquiring.